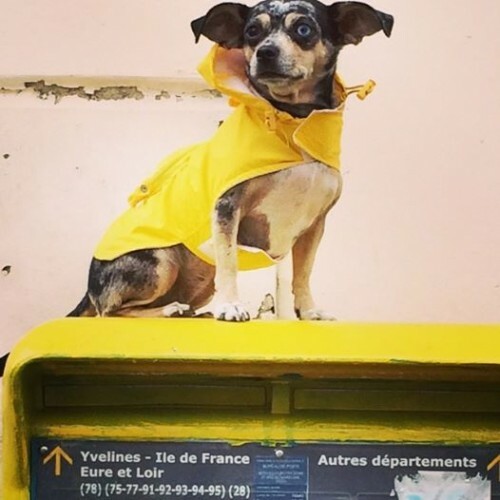 If it seems that you and your dog have seen all there is to see on land, perhaps it is time to find some fabulous dog friendly cruises for your next holiday. However, pet-friendly cruises are hard to come by. Since the world is 96.5% water, a dog friendly cruise makes sense, but most options are limited to shorter cruises on smaller boats. 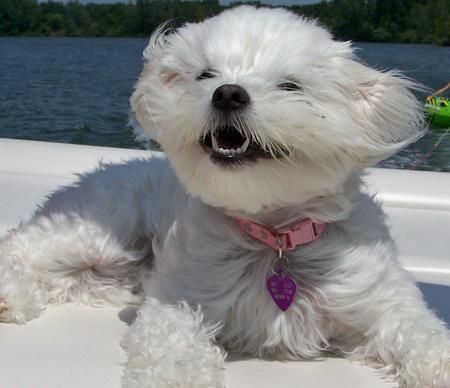 Intimate dog friendly cruises can be found all over Europe and America. The best choice is to travel by air or car to your cruising destination. Once you have arrived, you and your dog can combine the wonders of land and sea into one unforgettable holiday. 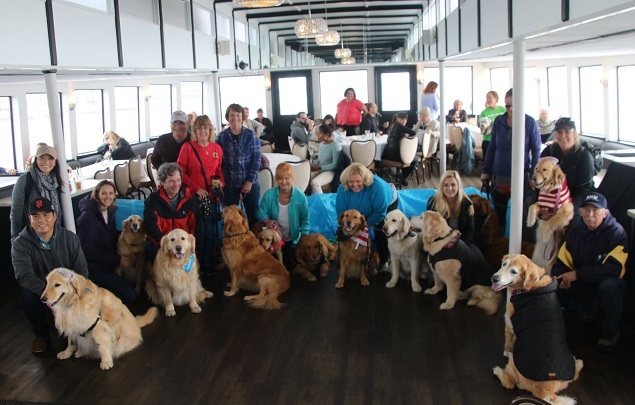 If you were hoping for a more traditional cruising experience, here is a terrific resource on the rules and regulations regarding service dogs on larger cruise lines. There is currently only one large cruise line that allows nonservice dogs onboard, and it is number 1 on our list of the top 10 dog friendly cruises for your next holiday. Read on! 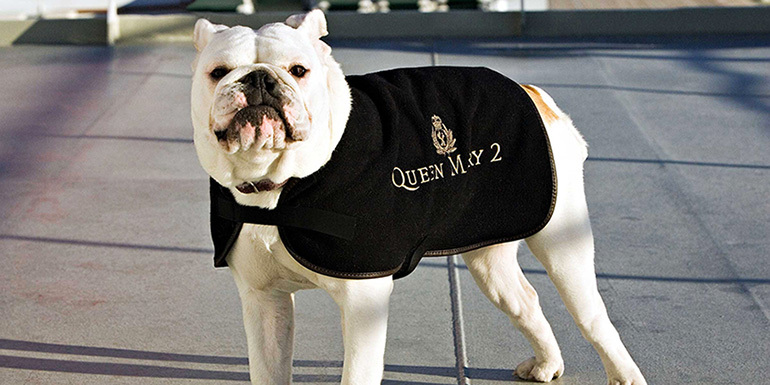 The only luxury liner that currently allows pets is the Cunard’s Queen Mary 2. If you and your dog are up for crossing the ocean between New York and Southampton, hop on board the Queen Mary! However, they will be confined to the onboard kennel, otherwise known as the exclusive Deck 12. On Deck 12, dogs are treated like royalty. They are fed, walked and cleaned up after, in addition to lavishing them with treats and toys. Pets have organized playtime, and you are welcome to visit them during designated hours each day. The cruise ship recommends booking your dog’s transatlantic journey at least a year in advance as they only allow room for 12 dogs at a time. Also, expect to pay upwards of $1000 for this once in a lifetime journey across the Atlantic. 2. Hop aboard the MS Normandie for a 4-day river cruise with your dog on the Rhine. Four-legged guests are the main focus of your travels through the Rhine. Together you will enjoy seeing ancient castles, lush vineyards, and sleepy medieval villages, all while knowing your dog is completely welcome onboard. 3. The MS Normandie also offers eight days through Holland with your dog. Your dog must be kept on a leash, but they are free to visit the salon, restaurant, reception or decks with you. Imagine the look on your dog’s face as they discover the famous windmills in Holland! 4. 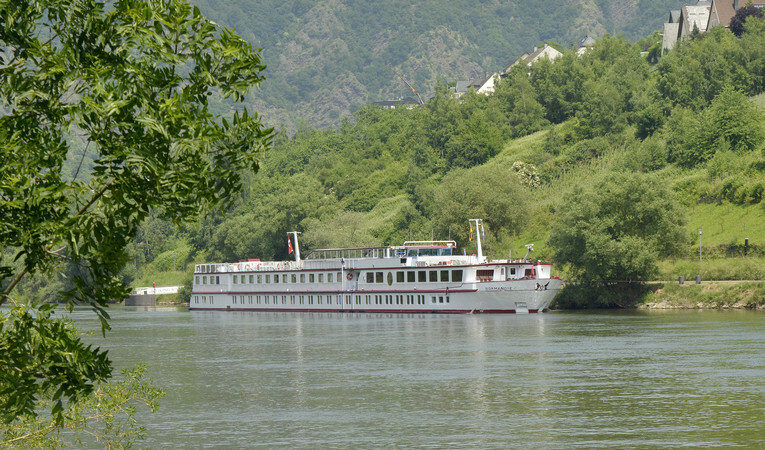 Another option on the MS Normandie is cruising for eight days on the Moselle. This slow, winding cruise, will entrance you and your dog with majestic scenery and brightly colored medieval villages. 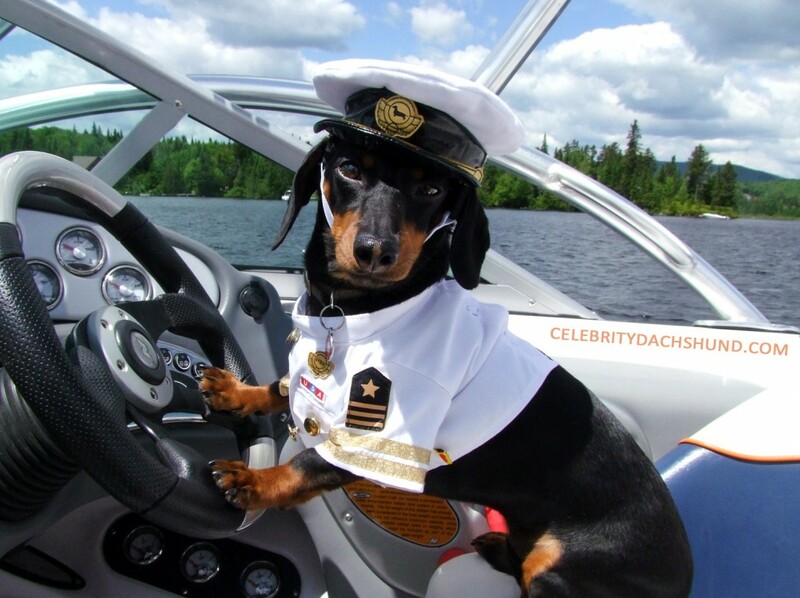 The cruise offers fresh drinking water for dogs in public areas and your cabin. Who doesn’t need a few days in San Diego? San Diego’s Hornblower Cruises are a local favorite. 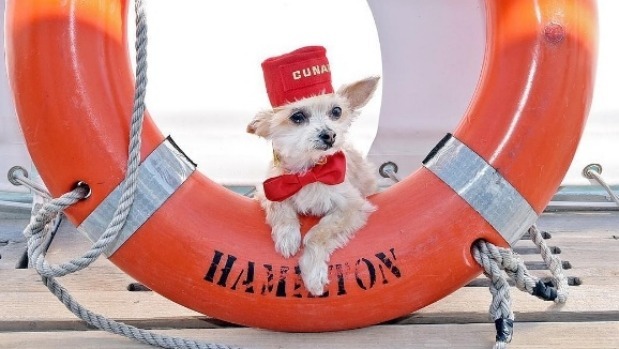 The special edition Bow Wow Brunch Cruise includes all the amenities of the human Brunch Cruise plus an additional doggie buffet! 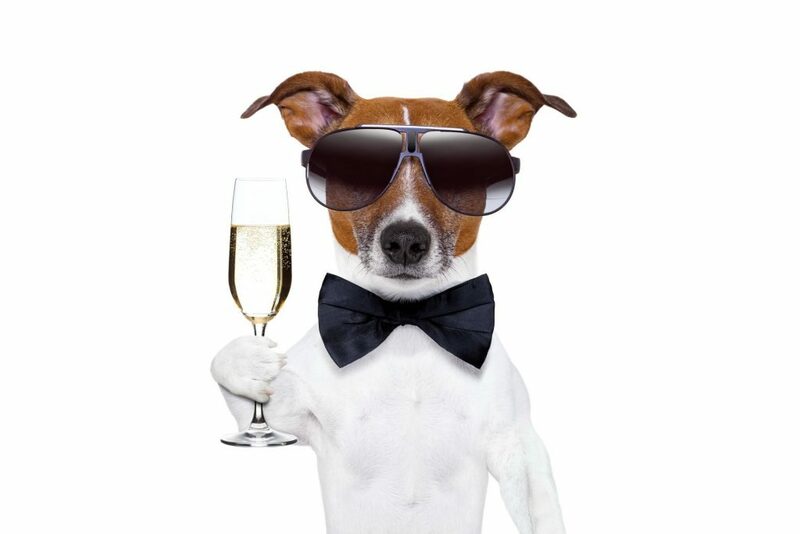 The Bow Wow Brunch Cruise is your typical Sunday Champagne Brunch Cruise, but your “fur child” is welcome aboard. In addition to a human buffet, your dog gets a pet buffet to choose from along with a dog relief area set up on the sun deck of the yacht! The Captain of these intimate excursions, loves dogs as much as you do, which is why the Moondance II welcomes furry friends aboard. The small trips allow up to six human passengers and adventurous dogs. You can cuddle up with your pup and enjoy the beautiful bay and calming waters. There are many options including a half day cruise, full day cruise, and even whale watching! This exhilarating excursion leaves from Navy Pier and offers a variety of tours to choose from. The popular Lakefront Speedboat Tour is a fast-paced, 30-minute adventure will point out some of Chicago’s top spots. As a bonus, humans traveling with their pups receive 10% off regularly-priced tickets. You are your leashed dog will enjoy quality time while cruising on Chicago’s waterways. This cruise is for the dog and owner who prefer to sit back, relax and soak in the city. Together you will listen to Chicago’s rich history and architectural marvels. The boat offers plenty of safe outdoor-seating, water bowls, and a special newspaper-lined restroom when it’s time for a bathroom break. 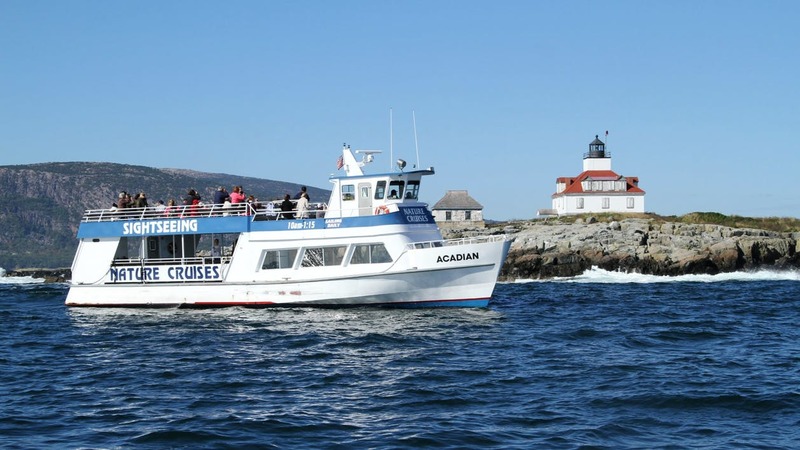 Bundle up for a two-hour, narrated cruise of Frenchman Bay. Your dog can scour the skies for eagles and migrating birds or hunt the water for porpoises, seals, and other marine animals. Well-behaved, leashed pets are welcome aboard the Acadian. 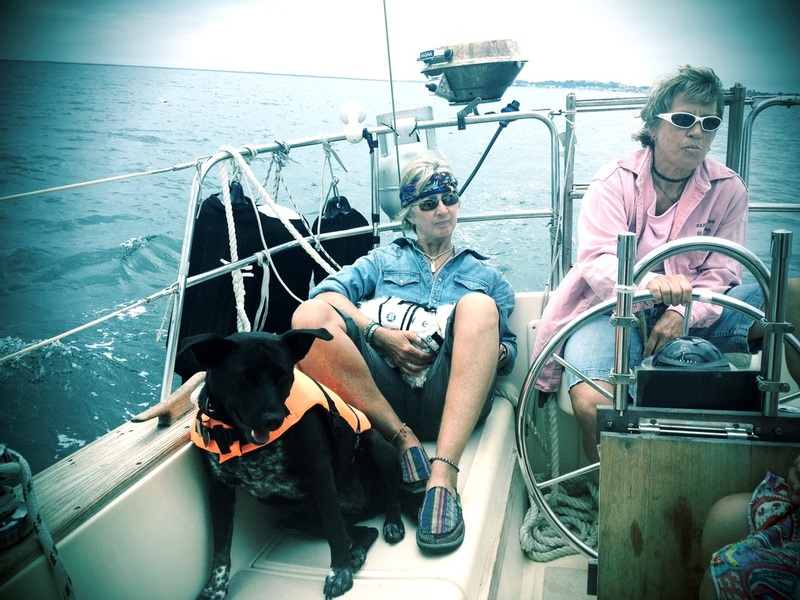 If you are ready to hit the high seas on a dog friendly cruise, SHARE this article with anyone else who is looking to share the open waters with their dog!